New 2015 Skoda Fabia and Skoda Fabia Estate - everything we know so far | What Car? These are our images of the new Skoda Fabia and Skoda Fabia Estate which will arrive in UK showrooms early next year. This third generation of the Ford Fiesta rival uses the VW Group's latest set of chassis components - the same basic set of parts that also underpins the latest Audi A3, Seat Leon, Skoda Octavia and Volkswagen Golf. The Fabia gets a shorter, simpler set-up than its larger stablemates but is able to use many of the technologies – everything from engines to infotainment systems. The new version of the hatchback is 9cm wider than the model it replaces, and 3cm lower. The company says its new model is more dynamic and sportier, but the new look is smart but not as radical as the company had hinted at in the past. The Fabia has a sharp crease line along its flanks, and a distinctive kink in the rear side glass. There is also a raised centre bonnet line running back from the badge. The Fabia will be offered with a new range of engines. These will help the new model achieve gains of up to 17% in economy. The entry-level units are versions of the 1.0-litre three-cylinder petrol motor that's also used in the Skoda Citigo. This will be offered in same two states of tune – 59bhp and 74bhp – and with a five-speed manual transmission. The lesser of these motors looks weak for a car that's a rival to the Ford Fiesta, but insiders have previously suggested that the new chassis allows lighter construction that could bring the car's weight down to the 1000kg mark. When equipped with the tiny three-cylinder petrol engine, the entry-level edition could conceivably weigh less than that. The Fabia will also be offered with 1.2-litre turbocharged four-cylinder engines, badged TSI. 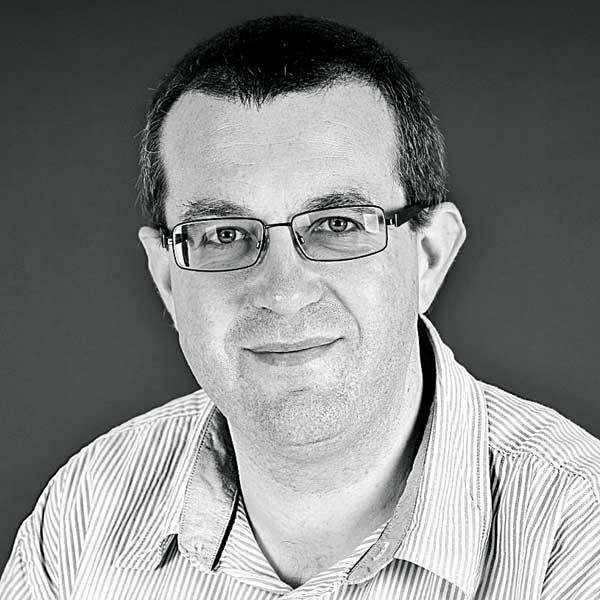 Again, there will be two states of tune – 89bhp and 109bhp – and the more powerful of those options will get either a six-speed manual or a seven-speed dual-clutch automatic. Again, the weight savings and improved aerodynamics mean that even the least efficient of the petrols emits no more than 110g/km of CO2. The diesel options will be based around the new 1.4-litre three-cylinder engine that's just been introduced to the face-lifted VW Polo. It will be offered with either 89bhp or 103bhp, and the more modest of those two options will also be available with a seven-speed dual-clutch automatic; an auto diesel is said to have been a frequent request from Fabia customers. There should also be a lesser-powered Greenline diesel, with CO2 emissions of not much more than 80g/km, but all of the diesels, including the dual-clutch auto, will emit less than 95g/km. Skoda has confirmed that the new model will be longer and larger in the cabin, with more headroom and a 2cm increase elbow space in the front. It also gets a boot that Skoda claims is the largest in its segment, at 330 litres with the seats in place. With the rear seats folded, this space grows to 1150 litres. Skoda also says that the loading space is 2cm wider than before. The boot will also get a selection of new practicality options, including bag hooks, two storage nets and a stowable hat shelf that can be used as a boot divider. Elsewhere in the cabin, the Fabia gets storage nets on the side of the front seats, space for seven bottles, and a multimedia cradle for holding a mobile phone. The new Fabia gets a boost in safety kit, adding automatic emergency braking that can stop the car if it senses an impending collision, plus a rear-view camera and hill-hold assist. In addition to this there's a range of other convenience features, including the VW Group’s Mirror Link technology, which allows owners to connect their smartphone to the car's infotainment system. Skoda also wants to offer Fabia buyers more personalisation options, so there are 15 colours to choose from, as well individual colours for the roof, wheels and door mirrors. Skoda is keeping the same line-up of trim levels as now, with entry-level S the only edition not equipped with air-conditioning. The S gets an infotainment system with DAB digital radio and Bluetooth, electric front windows and stop/start. All other editions, from SE and upwards, will get a choice of two colour touch-screens, equipped with Bluetooth connectivity and the option to use selected smartphone apps through the display. SE trim also gets height-adjustable front seats, chrome touches to the interior and 15-inch alloy wheels. Range-topping Elegance trim gets 16-inch alloy wheels, climate and cruise controls, keyless entry and start and auto dimming rear view mirror. Later, these will be joined by the efficiency-focused Greenline editions, plus the motorsport-themed Monte Carlo, which will offer a bodykit and more interior flourishes, as well as the choice of lowered suspension. It will not get extra power, however, and there are no plans for a vRS hot hatch version of the car; despite strong demand from the UK, Skoda has failed to build a Europe-wide business case for developing a high-performance derivative. 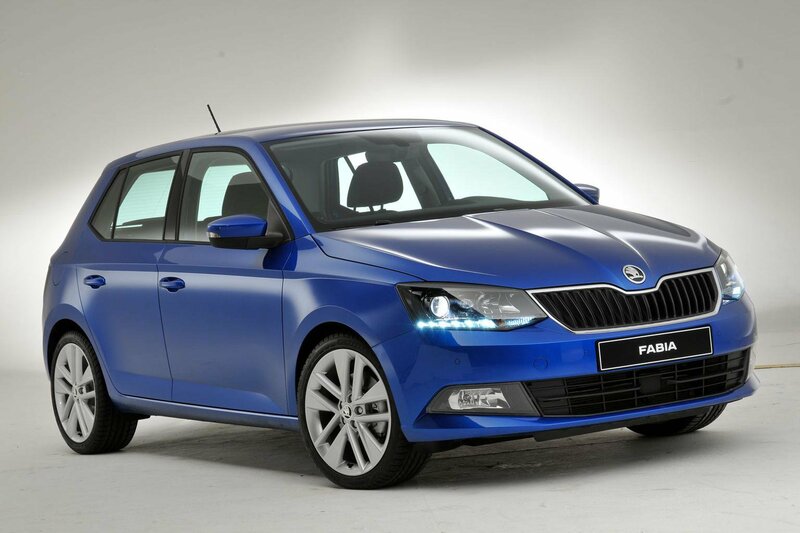 The Fabia is due on sale in January 2015 with the entry-level 1.0 MPI 60PS S hatch starting at £10,600. The Fabia Estate was also revealed at the Paris motor show, and first impressions suggest it will be a very practical car. The boot offers 530 litres of space with the seats up, while there are 1395 litres with the seats folded. The loading space also gets the same host of clever touches as the hatchback, including hooks, elastic bottle holders and storage trays, although the adjustable floor is unique to the Estate. There are three trim levels available, and all are better equipped and lighter than the outgoing models they replace. Entry-level S models get DAB digital radio, Bluetooth, start/stop and electric front windows as standard. SE models get air conditioning, alloy wheels, infotainment upgrades, height-adjustable front seats and roof rails. The range-topping SE L models get larger alloy wheels, climate control, keyless ignition and automatic lights among a host of other options. The Skoda Fabia Estate goes on sale in spring 2015, a few months after the hatch. Prices for the Estate start at £12,405 for the 1.0 MPi 75 PS in S trim.